360 rolls (ie. 10 boxes of 36 rolls) of bespoke, custom & personalised white heavy duty vinyl tape. 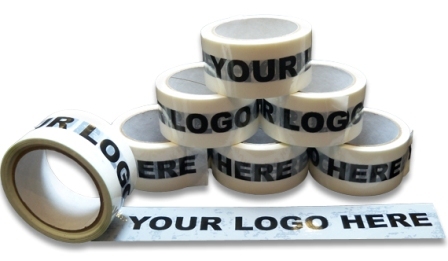 This tape comes printed with your your company logo in 2 colours on white vinyl. You can also add your website address and/or telephone number. Free artwork is provided.